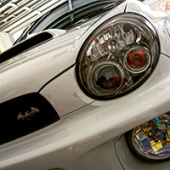 I currently have a stock 05 WRX STi apart from a Muffler delete. Looking at getting a straight pipe on my STi. Talked to my local Pitstop who told me he is unsure about how the "secondary 02 sensors will cope and that due to this I cannot get my cat removed". Looked online and apparently after a straight pipe you need to get an ECU tune done so that the 02 sensors dont freak out. Can anyone shed some light on what I should do in a step by step for a straight pipe so I dont mess anything up as this car is my pride and joy. 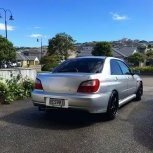 Also does anyone know any good ECU tuner's in AUCKLAND as thats where im based! cheers guys and gals!! a tune really livens up the car. Why not just share the info here? It will be obnoxiously loud, at least put a resonator in, unless you like yarning with policemen and little green windscreen stickers. plus some people prefer different things (power,spool, loud noises...) - no single answer fits all hence we always do custom maps only ..
A straight pipe is illegal even if it is under the DB level. 1. A vehicle is not fitted with an exhaust system that includes a means of sound reduction (Note 1) (Note 6). Exhaust system means a pipe assembly through which the engine exhaust gases pass to the atmosphere and includes some means of sound reduction such as a silencer or resonator. 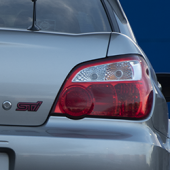 A stock 05 STi is a tidy car, a turbo back straight pipe would be one hell of a way to change that. Just my 2c. Thanks tons for the info! Im probably just going to go with a resonator delete as this car is fully stock and I still want to keep the reliability and "stockness" of the car as I still even have the full factory exhaust in my garage I just want to have the iconic subie rumble which HOPEFULLY I can achieve w/out getting tunes done etc. (however ill be making sure whatever I do wont damage the car etc) Awesome feed back from all of you guys im extremely impressed with all the honesty from your comments. So thanks tons! I hate to break it to you but no matter what exhaust or tune you put on it you won't get any rumble. The 05 STI has equal length headers, so they don't rumble, period. Ffs I’m an idiot I’ve got so much work to do. 😡 Im used to subies having unequal headers so idk how it slipped out of my mind (rough couple months blah blah) Got a resonator delete today and the previous owner has removed the cat which I didn’t realise until the resonator was gone so now I have a bloody 3 inch straight pipe which just rapes people’s ears. Sounds like a bloody loud honda now! been told if I remove cats I need to get a tune for the secondary 02 sensor however I’m the second owner of this Subaru and there’s no warning lights etc but he’s certain he DIDNT get a tune after removing cats. He also mentioned he turned up the boost to 20-22 psi and when I’m on the motorway in 5th at about 4k rpm and I ease my foot I can feel the boost cutting in and out so would this back up his point of “20-22psi” don’t know where to go from here I’m fully lost with what’s true and what’s not .just want my car to be a reliable and fun car to drive!! What do I do!?!??? Dave at tune technic did mine - I highly recommend him if you are out west. Very professional, knows his S***. The best thing to do is contact a tuner now as well, you can get their opinion on what changes to make before tuning - this is their job! When I brought my car it had been tampered with and had loooots of issues but that is another story . best bit of advice I can give is drop the car to a known mechanic / tuner in your area and just foot the bill to have it sorted. gives you piece of mind knowing its healthy and on a safe tune rather than the thought some backyard mechanic may have tried to toy around with it. Just get it running right and stop worrying about the sound. Yeah I’m still going to get a diagnostics on it but as the cars on 43,000 original k’s the previous owner took the cats off after 700 k’s so the cars been running like that since. I’ll still get a diagnostics done tho!! the boost may be raised due to the higher flow and thats where the issue is: it may not be fueling right for that flow since 22psi was never a stock option on that model. Also, how did he turn the boost up? is there a boost controller in the car? maybe turn is down for now? if you are ok to make a trip to South Auckland, then i would recommend @Subirex Automotive for any maintenance that needs to be done. from factory there is no wiring there to do any boost changes. the pump change is just a safety measure and also means after a tune you will not be potentially running out of fuel pressure etc..
what was the result of the compression test? Hey man ill have a little look but I might just go straight to either torque performance or the tuner you recommended. I got the muffler put back on as I failed my wof and it sounds really good for a equal header so luckily that’s one problem Gone. The compression tests cane back really good (as in even) I’m just at work at the moment but when I get home I’ll try post a pic of them.